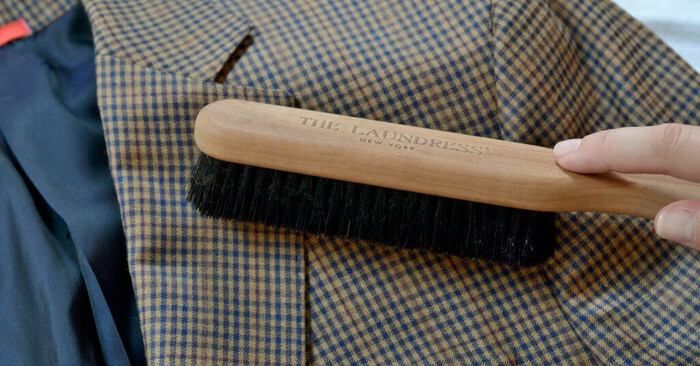 With the right products and a gentle approach, you can care for your suits and jackets at home. We do it all of the time! 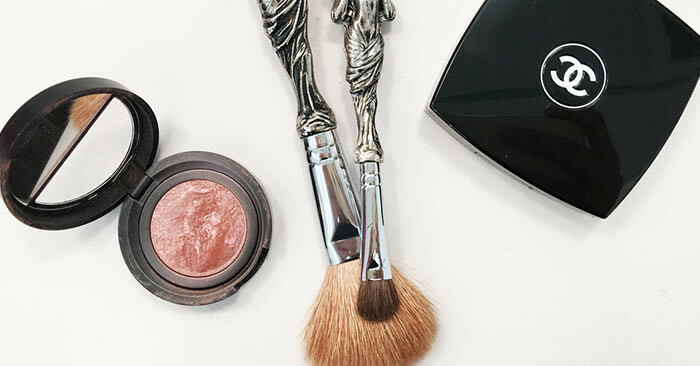 Follow these steps for spot treating and freshening to achieve a clean, crisp outcome. It’s important to note however that men’s structured jackets and blazers should never be fully washed as the material inside – such as padding and interfacing – can become dislodged. 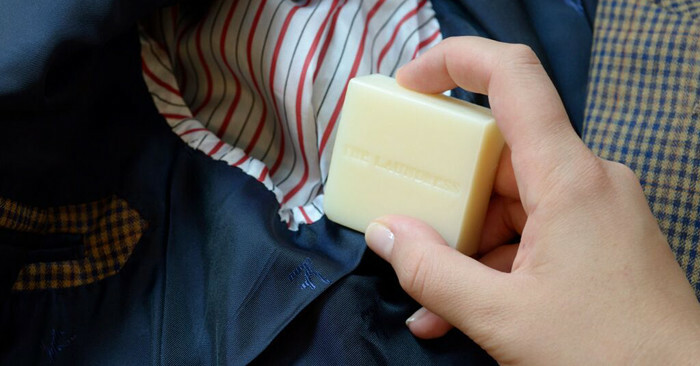 Most people send suits and blazers to the cleaners because they no longer smell fresh. If the item isn’t actually dirty, you don’t need to take it to the drycleaner. Instead, save money and reduce cleaning wear on an item by caring for it at home. Spot treat the inside lining to remove underarm odor. 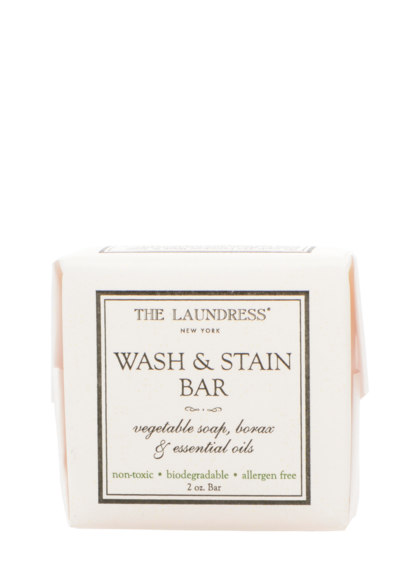 Simply wet our Wash & Stain Bar and gently work a lather into the affected areas. You may also use our Stain Solution on a clean, wet, lint-free cloth. Use lukewarm water, regardless of fabric type. Spritz the Wool & Cashmere Spray on the inside lining of suits and jackets between wears to remove underarm odor. What we love about this spray is that it doesn’t simply mask odors by adding scent. 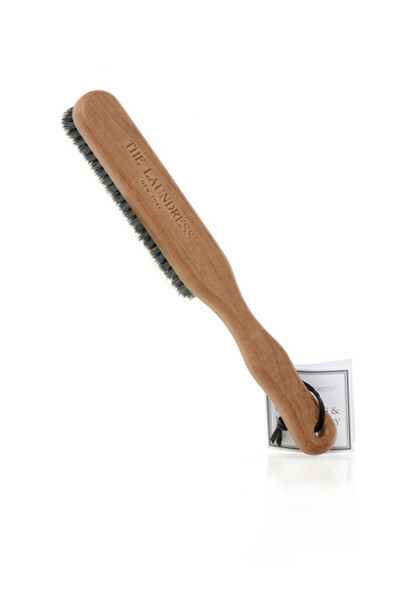 Its antibacterial properties actually help to lift, neutralize, and remove the source of the odor. You can also hang the item outside (avoiding direct sunlight) where it can breathe. Steaming will also help to reduce odor by killing germs and bacteria. For added scent, pour one capful of Ironing Water into the steamer tank. Get the best steamer possible – we do NOT recommend ironing these items. 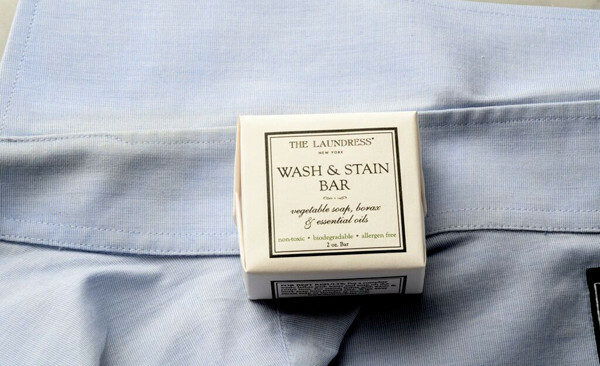 The Laundress Wool & Cashmere Spray is a safe non-toxic, allergen-free fabric spray that naturally repels bugs and moths without the noxious odors of toxic mothballs or danger of oil stains left by cedar blocks and chips.